I am VERY excited to announce that I have joined efforts with Karma Yoga Studio to provide our first charity flow! In lieu of payment, bring a non-perishable item to be donated to a local soup kitchen. Money in the form of checks is also accepted. Can’t make it, but still want to donate? 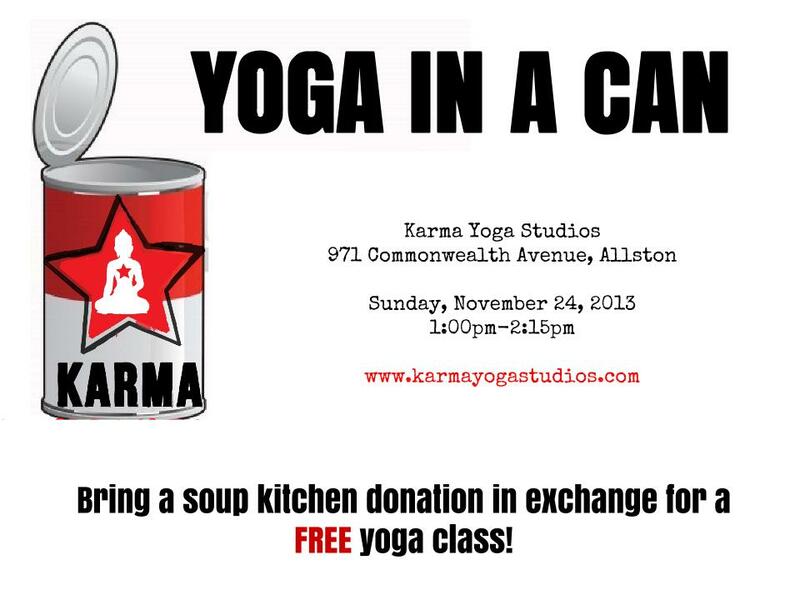 Go to any Karma Yoga studio location and drop off your donation. Can’t donate this month? Don’t worry. We will be having a Charity Flow every month, so keep your eyes open for our next event!